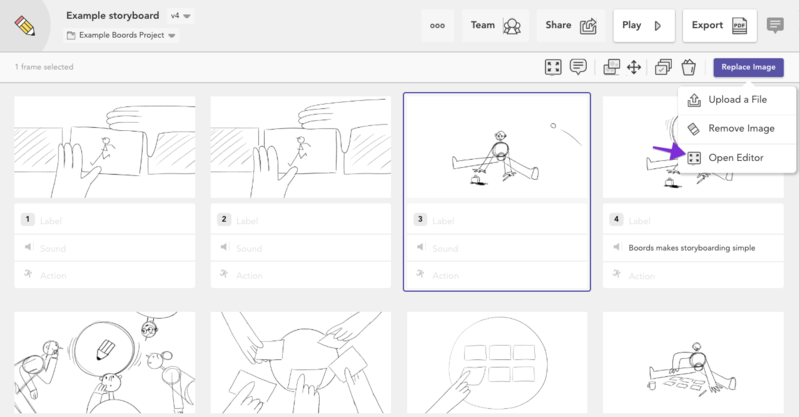 When the time comes to add images to your storyboard, you have two options to choose from. In this article, we'll take a look at the variety of ways that you can access the Image Editor. 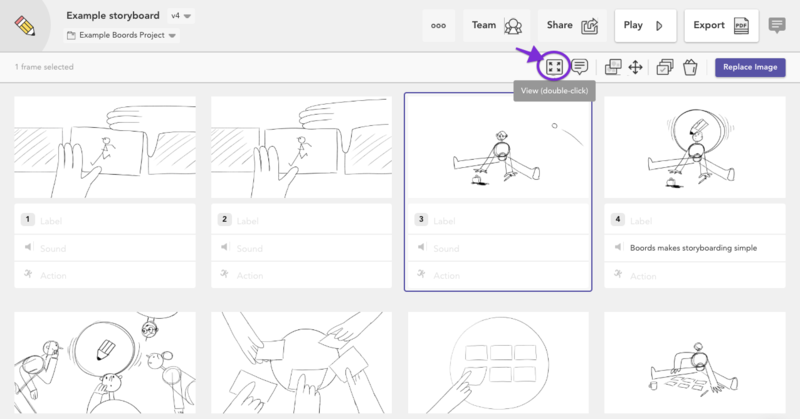 ☝️ Note: As well as using the Image Editor to create drawings from scratch, you can also use it to to add text and shapes to uploaded images. The quickest option for accessing the Image Editor is to simply double-click on the frame you'd like to edit. You can also select a frame, then click Replace Image in the toolbar. From the dropdown menu, choose Open Editor. Clicking the View icon in the Toolbar will also open the Image Editor.